An audit of the Hempstead Town Animal Shelter was issued on Friday by the New York State Comptroller. According to the audit by State Comptroller Thomas P. DiNapoli, the shelter has higher costs than compared to other animal shelters, did not keep accurate records on overtime hours and was not financed by the proper fund, as required by state law. The audit covered the period of January 1, 2010 through September 30, 2011. The shelter was audited after hundreds of requests and complaints from town residents. The audit found that the Wantagh-based shelter's cost per animal was $1,916, compared to an average of $600 per animal in Islip and Brookhaven animal shelters. Hempstead Town Animal Shelter denied these findings, claiming that the actual cost per animal is $914. The animal shelter has also faced allegations of animal mistreatment during recent years. 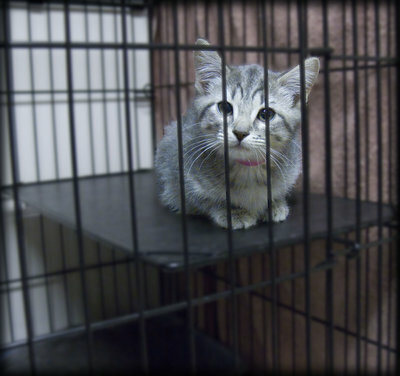 A disturbing YouTube video of animal abuse in the shelter stirred up controversy in March 2011. However, Nassau County District Attorney Kathleen Rice said that no evidence of abuse or neglect was found after an investigation. Auditors found that the costs for the shelter came solely from taxpayers. The result was an overcharge of $17.5 million to taxpayers living in unincorporated areas. According to the audit, the shelter should only use money taken from the town-wide general fund. The Hempstead Town Animal Shelter processed approximately 7,000 animals during the period of the audit. The shelter also employed a total of 62 people, 32 of whom were full-time, 30 were part-time. 2010 expenditures for the shelter totaled $7.8 million, which were financed mainly by property taxes and departmental fees, according to the audit. The 2012 adopted budget for the shelter is $8.8 million. Click here to see the audit in its entirety. Subject: LongIsland.com - Your Name sent you Article details of "Hempstead Town Animal Shelter Audited Due to Bad Record Keeping"